With so many travel bloggers out there exploring the world, there are so many packing lists to choose from. Travel Fashion Girl does it’s best to provide you with the ultimate travel packing guides including the Minimalista, Essentials, Classic, and Maximista packing guides but it’s always interesting to see what individual bloggers choose to pack. 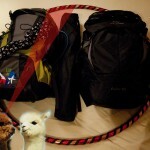 Erica from Over Yonderlust carries a portable hula-hoop with her around the world! 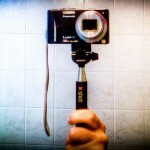 You never know what cool ideas you’ll get from other traveler’s packing lists. Erica posted a very thorough packing list before she took off on her round-the-world trip last year. She travels super light as an Essentials style packer and uses a 40L backpack. Impressive! In addition to carrying a fun hula-hoop with her for emergency good times, she also packs other fun gear like tarot cards and a Nintendo DS. 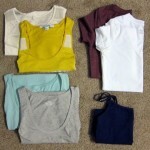 You can find out about Erica’s post RTW trip packing thoughts on her Travel Fashion Girl interview next week. Kieu is another traveler with an Essential packing style and travels carry on only. Ladies, this is definitely the way to go! 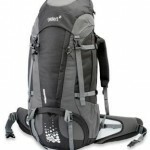 More and more backpackers are opting out of unnecessary gear and minimizing their belongings. Kieu does a great job of choosing items that are both stylish and practical. Check out her polished style and packing list! You can also find out her post-trip packing thoughts in this week’s Travel Fashion Girl interview. 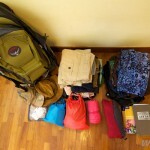 Jessie has an incredible travel must have gear list on her blog. One of her favourite products is the Lush Godiva Bar which also seems to top many other blogger’s must have travel items. Thanks Jessie for recommending the Lush Godiva Bar on #TTOT on Twitter! The ultra-light packers at Wild Junket just posted their latest packing list and it’s a good one! Nellie travels with Travel Fashion Girls’ favourite backpack: the Osprey Waypoint series. Super convenient! See how light she travels! Check out the way this travel expert packs her backpack for her upcoming journey. Okay, Travel Fashion Girl offers exclusive insight for girls only but this is one exception for you. Fox Nomad’s Anil provides an excellent and up to date technology travel gear list in a recent June post. Surprisingly, he carries a minimal amount of travel tech gear and still manages to run a successful blog. Now we know his secrets and you can too! I hope you liked TFG’s Favorite Travel Blogger Packing Lists! Please share with your friends on Facebook, Twitter and Pinterest. Thanks for reading!